Woo Hoo, Day of the Dead is coming! 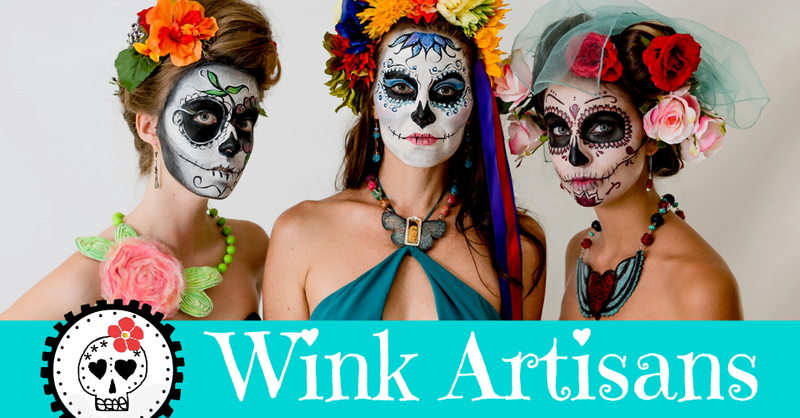 Wow, so much to do: workshops to take, lectures to attend, delicious mole to eat, altar making, sugar skulls, love ones to be remembered and celebrated. How does one find time for all of it. In any case, I'll try to post a little of everything to get you going on your Dia de los Muertos journey. 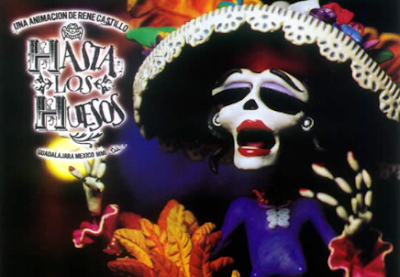 First off, let's get our creative juices going with Hasta Los Huesos (Down To The Bone). It's a 2001 excellent short film by Rene Castillo in which a man finds his way to the afterlife. The rich and vibrant colors of day of the dead, as well as the humor, is all present in this brief film. An even sultry Catrina makes an appearance to... I'm not going to spoil it, you better watch the video. What I would tell you is the the music is by Cafe Tacvba and there's the voice of Mexican singer Eugenia Leon singing La Llorona. Enjoy!